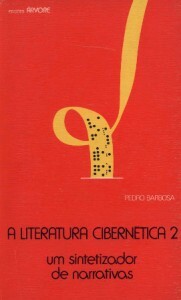 In this second volume, which is devoted to fiction, Barbosa publishes a narrative synthesizer, addressing the concept of “matrix-text” as a transformable grid by the computer program. Being aware that in the fictional field there is a concern for semantic and narrative coherence, the author publishes the most interesting outputs of the variants of the series “Era Uma Vez…” [Once Upon a Time…], “Fábulas” [Fables], “Histórias dum Baralho de Cartas” [Stories of a Deck of Cards] and, finally, “História dum Homem Citadino” [Cityman Story], whose literary reception has been more explored, e.g. Christopher Funkhouser (2007) and Roberto Simanowski (2011), who curiously read it as a poem.